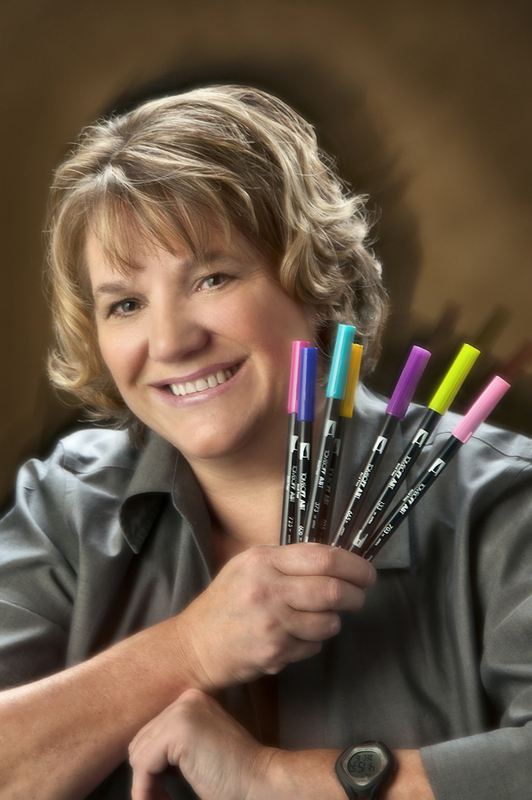 Welcome to the Tombow and Core’dinations Blog Hop! Getting ready for packaging homemade goodies, I used Tombow Adhesives and the wonderful Kraft-Core paper from Core’dinations. I used the Nostalgic Collection deep red,green and gold colors. 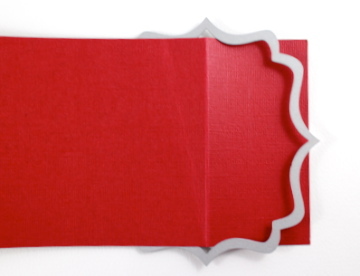 To create this simple fold-over package, cut the cardstock 4″ x 12″ and score at 2″, 6.5″ and 7.5″. 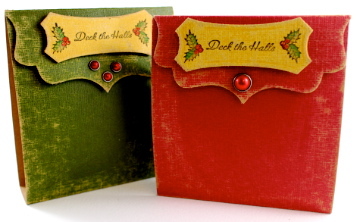 Cut the top flap with a label die, positioned with 1/2 of the cutting edge on the top. This results in a pretty edged flap for the front! 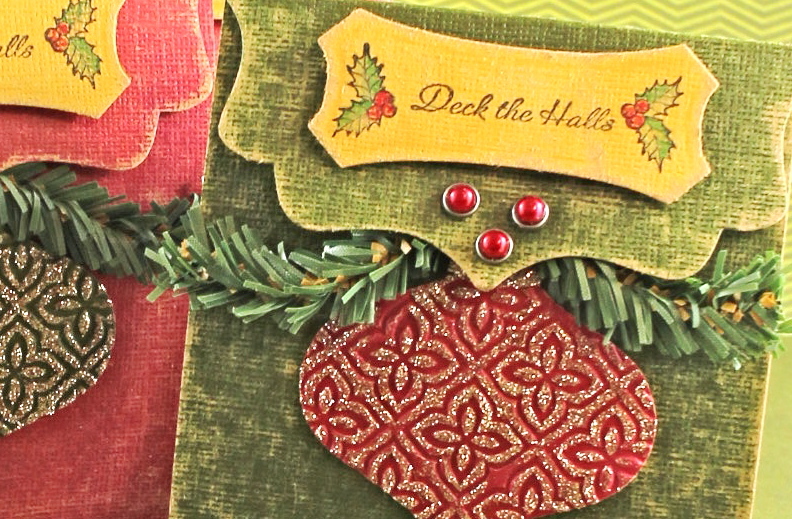 To create the ‘Old World’ ornaments, cut them from the cardstock using an ornament die. 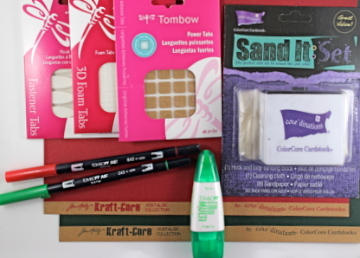 Send them through with an embossing folder and sand to reveal the design. Using the Mono Multi Liquid Glue, with your finger, add a layer of adhesive to the raised area. You need very little glue! Sprinkle with glitter and let dry. Distress the edges of the package piece and label using the Sand-It Set from Core’dinations. 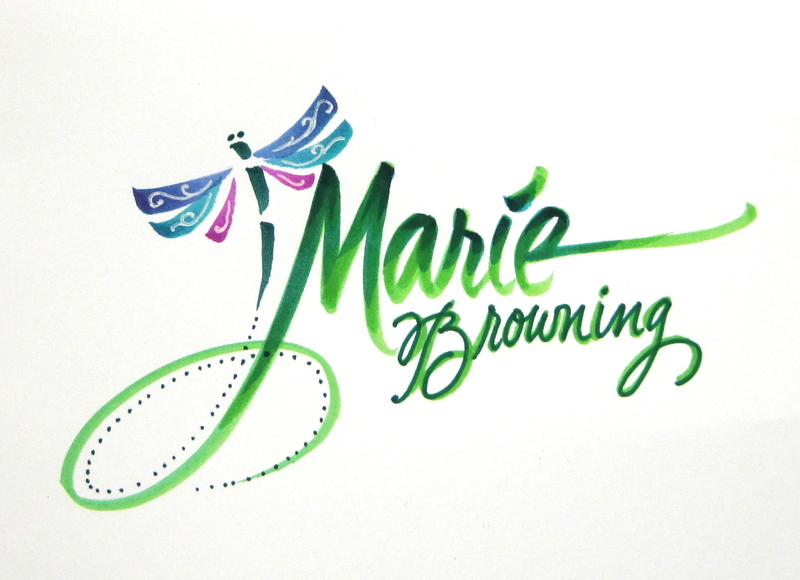 Stamp and color the label using Dual Brush Pens. Construct the package with decorative brads on the front flap, attach the stamped label using Foam Tabs and create a closure with 1/2 of a Fastening Tab. The finished ornament is attached to the front of the package with Mono Multi Liquid Glue, and the greenery is added using Power Tabs. The top of the ornament and greenery are tucked in under the flap, but not over the Fastening Tab. You are now ready to add a cello bag to the inside of the package filled with your homemade goodies! Thanks for stopping by! Make sure to comment on this post! Marie I love these! The vintage look is awesome! These are sure to become keepsakes when the goodies are gone 🙂 !!! Great idea! I love your design. And I love how the ornament turned out. Thanks for sharing. 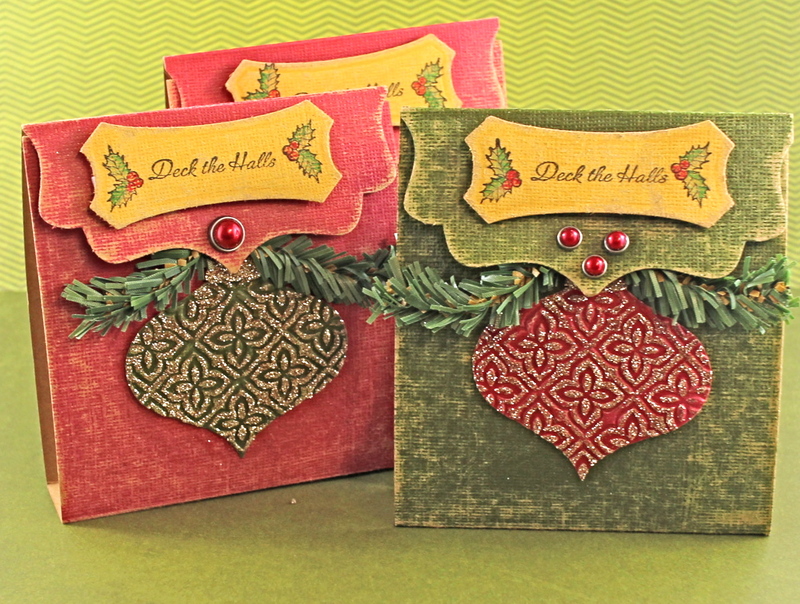 Love the ornaments and using the label metal die to cut the flap (genius)! Thanks for sharing. Wish there was a .pdf document that we could save to our computer for future reference. Absolutely fantastic ideas! Love the to use the die like that! 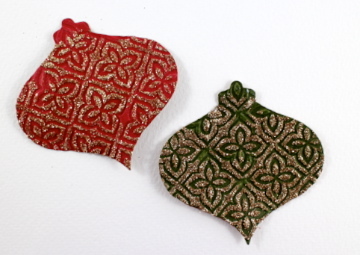 Wow – love the ornaments! Such wonderful ideas!